Making sure your child has good eyesight is crucial in making sure they develop to their full potential both at school and socially. It’s especially important to look after children’s eyes, as the eye is still developing throughout early childhood. Any problems need to be treated early otherwise it can make a lasting difference. However, research shows that around 20% of school-aged children have an undiagnosed vision problem. It’s never too early to have a sight test, visiting an optician will mean you can spot and manage vision problems that may affect your child's development. Some children have their vision screened at school – this is usually a basic test, designed to pick up children who have reduced vision in one or both eyes. 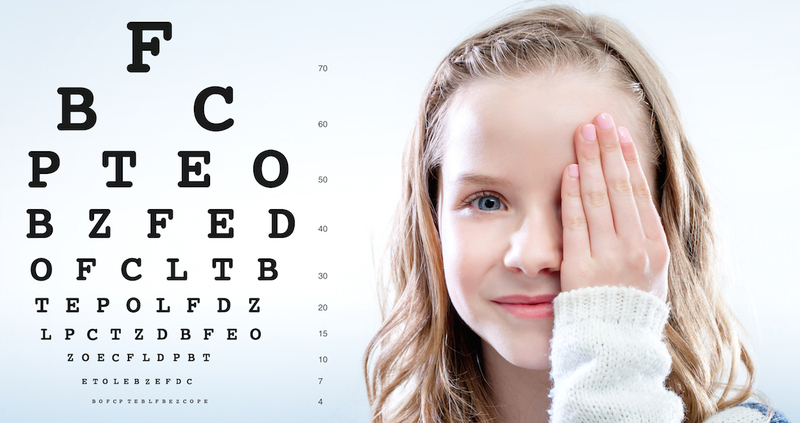 If a problem is suspected, children will usually be referred to an optician for a full sight test. Parents may assume that their child has been screened at school but this does not happen in all areas of the country. Even where this does happen, it is not usually until the age of four or five, so it is recommend that all children visit their optician for a sight test around the age of three. What is an eye/sight test? Sight tests can pick up many other conditions including colour vision defects, problems with the development of 3D vision and any need for glasses. Although the UK National Screening Committee recommends screening at age four to five years, there are many opticians who will see children much younger than this for a sight test. It is recommended that children have a sight test around the age of three, so that conditions are picked up and treated early. After the first test it is a good idea to return every two years, or as recommended by your optician. Children under the age of 16 are entitled to NHS-funded sight tests (covering the cost of a sight test), plus an optical voucher, which entitles you help towards the cost of glasses or contact lenses if required. Contact lenses are suited to all ages and even young children are able to wear, handle and look after their lenses. What can I do if I my child doesn’t want to wear glasses? If your child is reluctant to wear glasses, it’s important to remember that some children need a some kind of visual correction in order for their vision to develop normally and to achieve their full potential. The good news is glasses are now deemed as ‘trendy’! There are a much wider range of attractive frames to choose from and less stigma attached to wearing glasses. Some children may even be disappointed when told they don’t need to wear glasses! Many children are also suitable for contact lenses; this is particularly helpful for children who take part in regular sports activities and can be successfully worn from an earlier age than you might expect. Ask your optician whether contact lenses would be suitable for your child. Some evidence suggests that tasks involving looking at something close-up e.g. using mobile devices, screen time and reading a book, can increase eye strain for those who do this for long periods of time. COMPETITION TIME: Win a fantastic MyHummy! Would you like your baby to sleep better?! After an overwhelming response to our joint competition with MyHummy at the beginning of the summer, we've teamed up with them again to give you another chance to win! 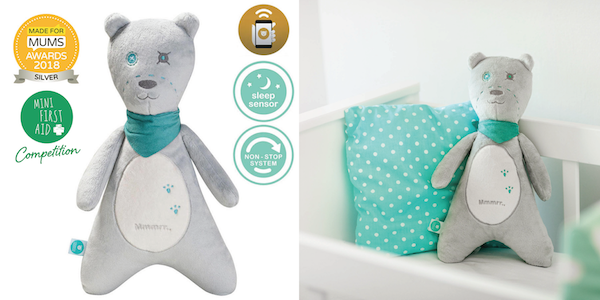 A myHummy teddy is a white noise toy which helps babies to sleep. The brand new Ash model features Bluetooth connectivity, has won a Silver 'Made For Mums' award and retails at £79.99. You can read more about this fantastic prize on the myHummywebsite. Mini First Aid's Kate Ball, loves the myHummy teddy bear and says "the first night we got "myHummy" the twins slept for 5 hours straight! It also senses when the baby is stirring and switches back on again - brilliant!"